I love cinnamon rolls. Gluten free, dairy free sweets aren’t easy to find. Especially gluten free, dairy free cinnamon rolls. 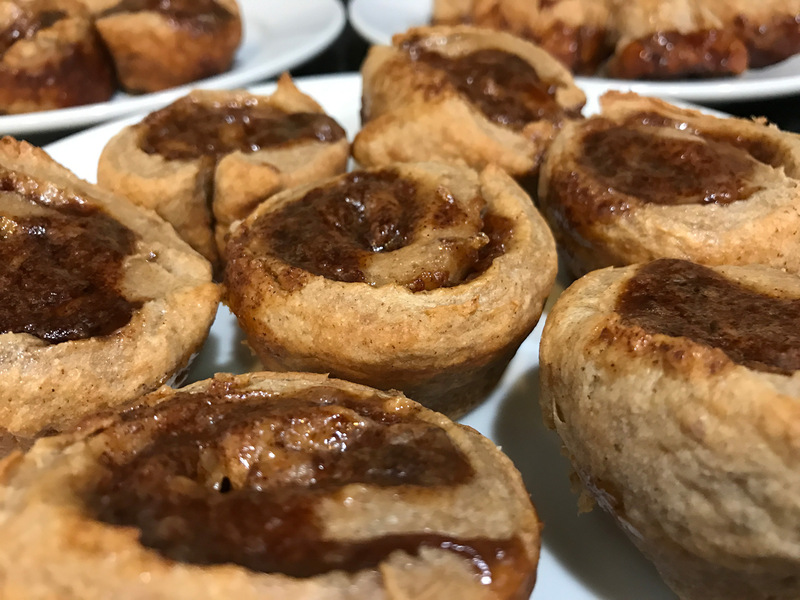 But, with a few changes and substitutions, and a lot of creativity, it’s possible to to make yummy, fluffy cinnamon rolls that are just as good. After experimenting with baking powder and other recipes, I decided to try using yeast with gluten free flour. This recipe produces yummy, soft cinnamon rolls that don’t use any processed sugars, dairy or gluten. To begin, in a measuring cup, measure 1/8 cup warm water and add both packets of yeast, mix well. Mix all dry ingredients into a large bowl. Add liquid ingredients – including yeast. Begin mixing. I don’t own a mixing stand. I mix all ingredients with a fork, by hand. Mix ingredients until a dough-like consistency forms. Occasionally, scrape down sides of bowl and incorporate into dough. If you own a mixer, let me know your experience in the comments below. Cover dough and let rise at least 1 hour. Temperature is important for yeast. If your apartment isn’t 80 degrees, start the oven and place rising dough near or on top. Yeast works best between 80-100 degrees. Anything above 100 degrees will kill the yeast. After about an hour, knead dough with your hands. I use a light dusting of tapioca flour to keep the dough from sticking to my fingers. After kneading, allow to rise another hour. Like before, cover the dough and make sure it’s at least 80 degrees. During the second rise, make the filling. Incorporate Leaf Lard, Cinnamon and Honey into a food processor. Mix thoroughly, until creamy. Also, if you haven’t already turned on the oven, do so now. Pre-heat oven to 350 degrees. After the second rise, lay out a sheet of parchment paper. Lightly dust the paper with tapioca flour. Using a rolling pin, flatten into a rectangle, approximately 12”x 9”. Spread filling evenly on top of dough. I like to spread it fairly thin and tightly roll the dough. Letting the parchment paper do the work, roll up dough. For the best outcome, use a muffin tin for baking. Grease the pan very well. I prefer coconut oil. Using a serrated knife, cut the cinnamon roll into pieces and place into the well greased muffin tin. I like to top each roll with a little dab of the left over filling. Allow dough to rise in the muffin tin for 45 minutes. After third and final rise, place in a 350 degree oven for 20 minutes. After baking, remove from oven. While still hot, remove cinnamon rolls from the muffin tin and allow to cool. Let cool for about 5-10 minutes, enjoy! While this recipe contains no gluten, my fiancée, who has Celiacs Disease, had an autoimmune response when she ate these. She believes that the yeast caused it, as all the other ingredients has never caused her any issues. Please be careful if you want to share these cinnamon rolls with people who have autoimmune diseases. Using a good quality rolling pin makes this task very simple. Additionally, if you have space in the kitchen for extra tools, a good quality mixing stand is highly recommended.